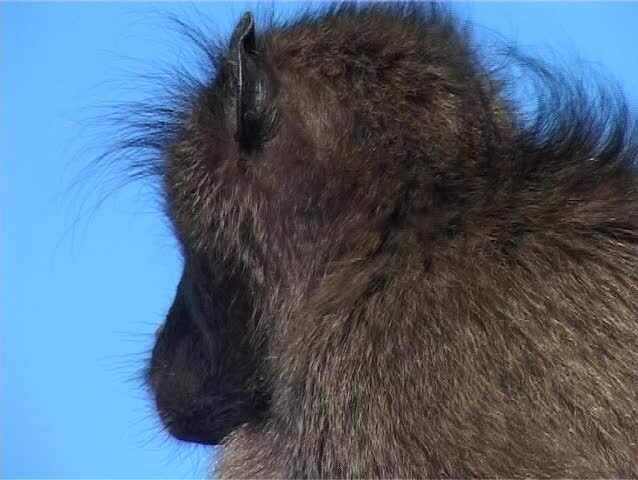 Close up of a Chacma Baboon (Papio ursinus) at Cape Point in South Africa. These Baboons are attracted to the parking lot at this tourist attraction where they sit on cars and steal food. hd00:38European Bison. Male. Close-up. Feeding.